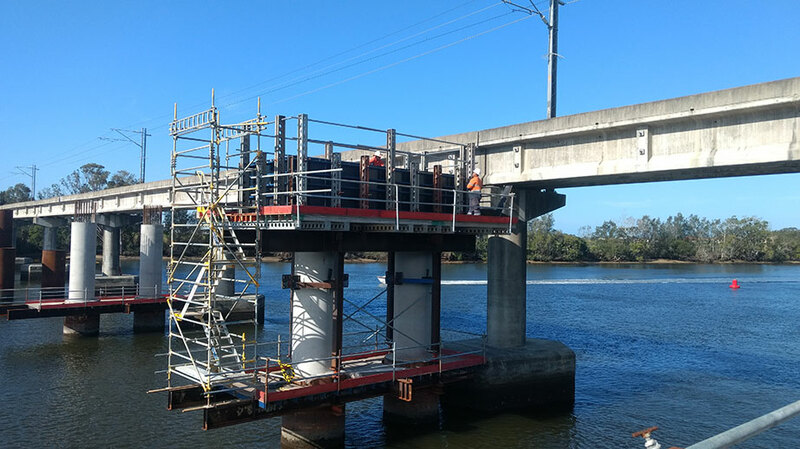 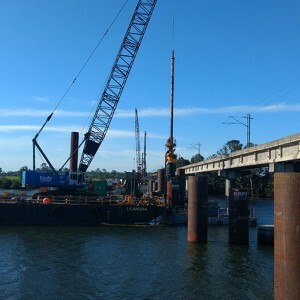 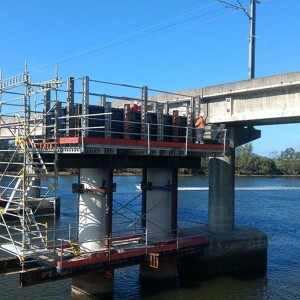 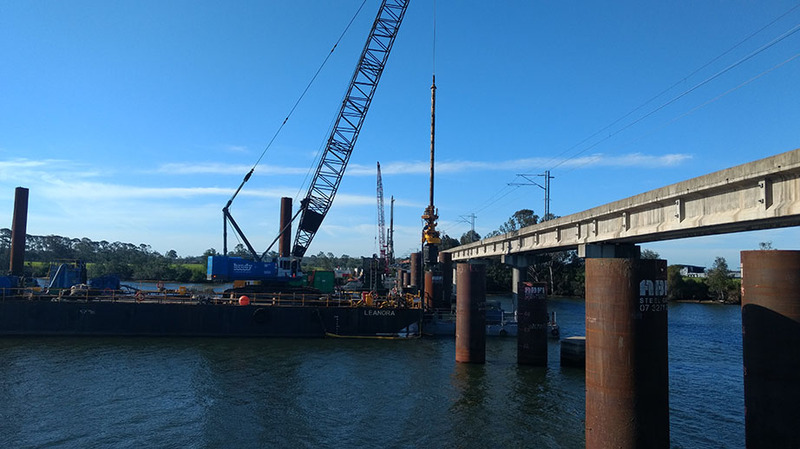 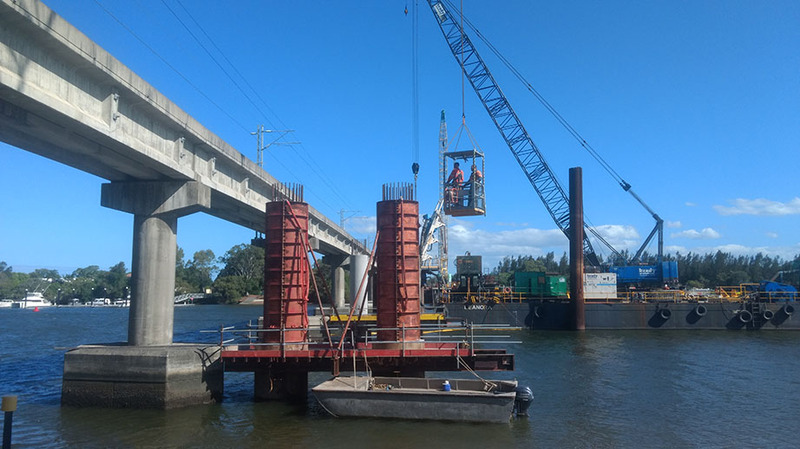 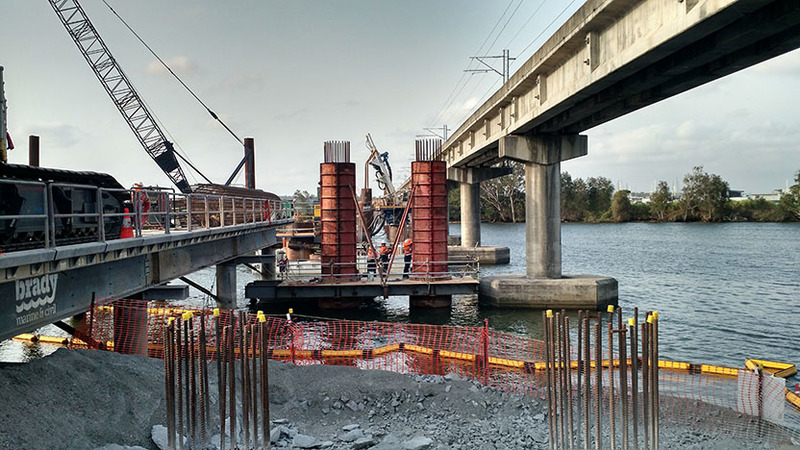 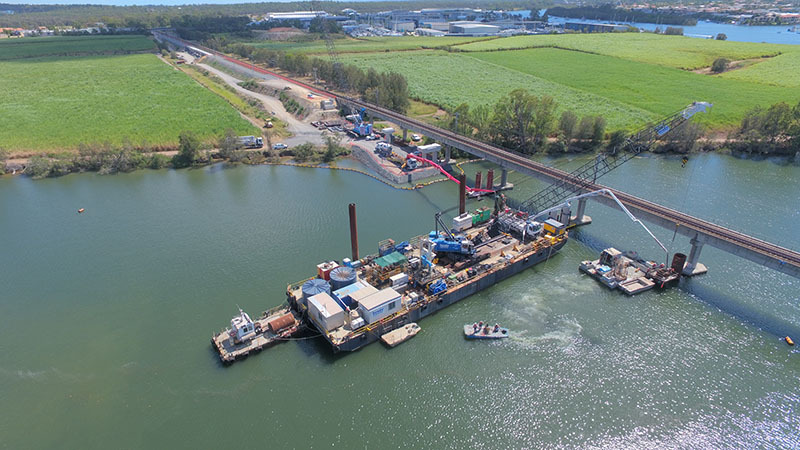 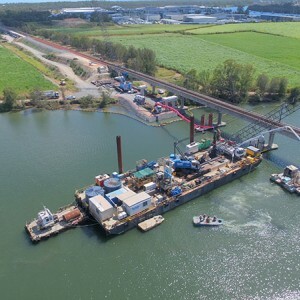 Lump sum contract for the construction of the 7-span bridge over the Comera River as part of the QR Comera to Helensvale Duplication. 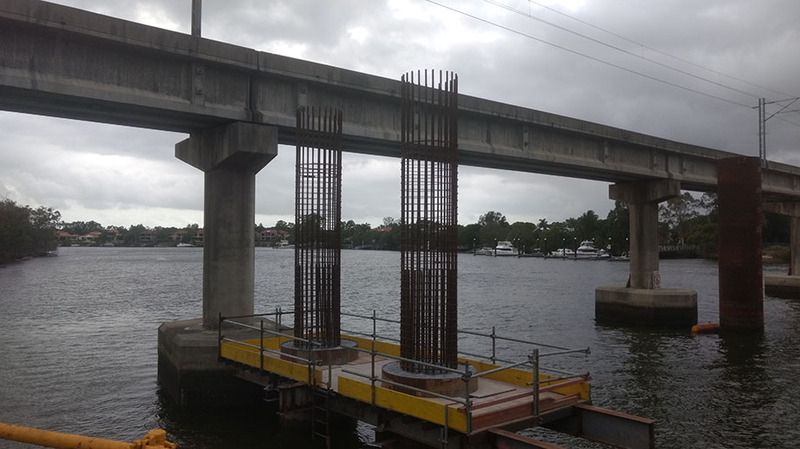 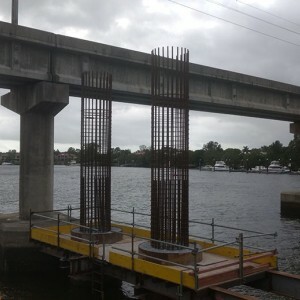 Works included 1800mm dia bored piles, cast insitu columns and headstocks and installation of precast girders. 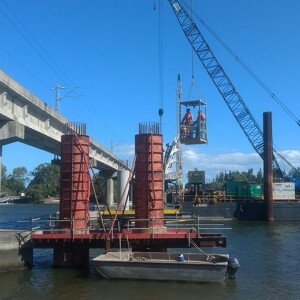 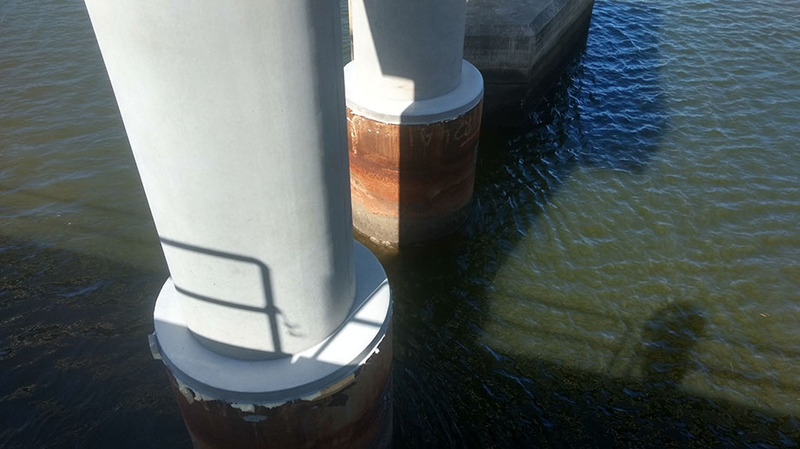 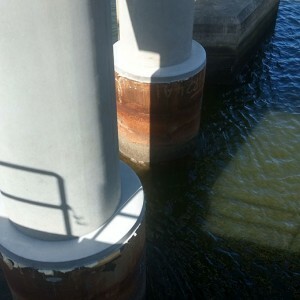 Works were constructed from both barge and temporary bridge. 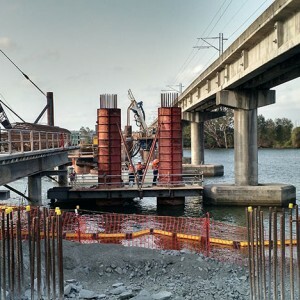 All activities were conducted in close proximity to the existing operating railway line.